This listing is for one yard of 1/32" gingham, more commonly called Microcheck. This is a lightweight 44/45" wide fabric. 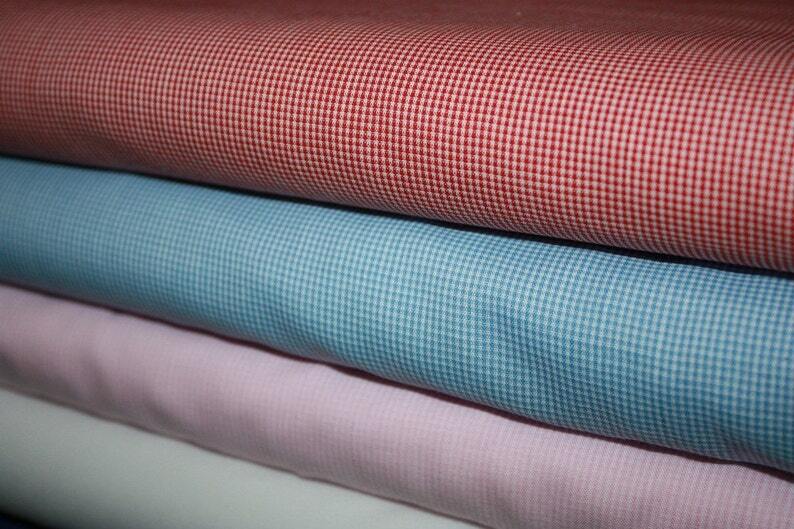 The fiber content on this fabric is 65% polyester and 35% cotton. It is permanent press and is machine washable. Each quantity of one is for 1 yard in whatever color you want. The shipping charges below are for a USPS Flat Rate Envelope. I can usually fit more than one yard in, so ask if I can combine your orders into one package to reduce your shipping costs.